Fireworks, Barbeques, and laughter… That’s what this month is all about. I hope you had a wonderful 4th of July. In July I’m doing a bunch of fun stuff – Teaching in LA (come if you’re there 🙂 ), Running a little BOOTY, and closing a chapter on a special show. Summer Fun is under-way… Lets live it up! * LACEY’s West Hollywood Equinox Schedule!!! I’m Teaching in LA from July 8th-19th. If you’re in the LA come to class or tell your friends to commmmee, ok? If you’re not an Equinox Member, I can put you on the guestlist or the club has reduced the rate for my classes – $15, to take a class… WEEERRKKK! ALEXIS WOLFER SHOUT-OUTS! She takes my classes at Equinox and supports me in all I do. Check out the 3 times she ROCKED the media last month in support of me. Thank YOU woman… You are a Goddess. JESSICA IN THE NEWS – She’s Killing it in the WEST! * Lacey & Jessica “L LOVE” Ending? Jessica & I’ve been involved an amazing passion project called Lesbian Love for the past 9 months. The experience has been AMAZING and we’ve garnered a huge following of women and men looking to find love in their lives. 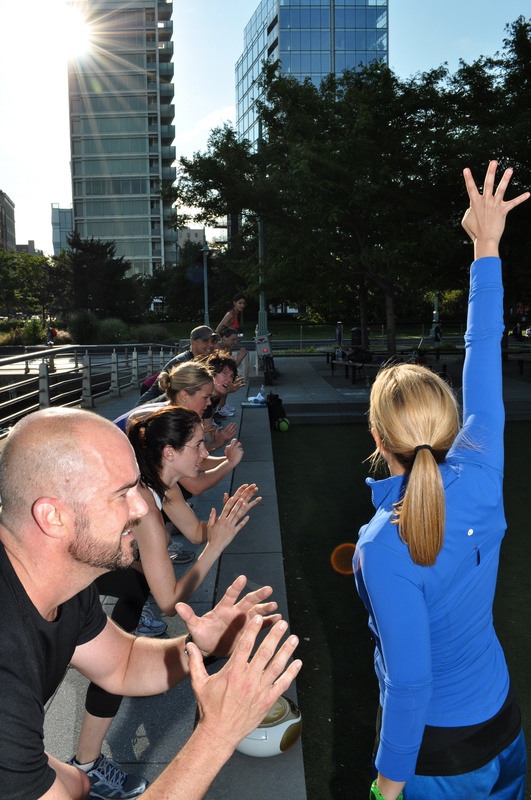 New York City’s HOTTEST Outdoor workout! If you’re looking for something different to do this summer join BOOTYCamp! The July Camp Starts post 4th of July on Tuesday the 6th. ANNDD if you’d like a sneak peek of Camp! Watch this NBC Segment –http://www.nbcnewyork.com/news/health/Booty_Camp_at_Central_Park_New_York.html – Are you ready to ROCK IT?! Annie Galovich and I’ll be leading the Workouts in July. Carl Lauro –The Man, The Myth, The Legend– will be leading August… If you’d like a spot shoot me an email today –Lacey@laceystonefitness.com July has room for 1/2 more. 6.30am – TheBigGAME! – Greenwich – YES! 12.30 – Spin – Columbus Circle – YES! No early bird spin due to the Holiday… If you’re in the CITY, Rock it out with me post 4th! No Class! – 6.40pm – TheBigGAME! – Greenwich – GAGA is at MSG… oooooooooooooOOOOOOHHHH! Starting July 20th – I’m back for the rest of July into August.